WalkTop is an innovative idea aiming to address the problems associated with sitting, by actually encouraging people to stand and exercise while working. 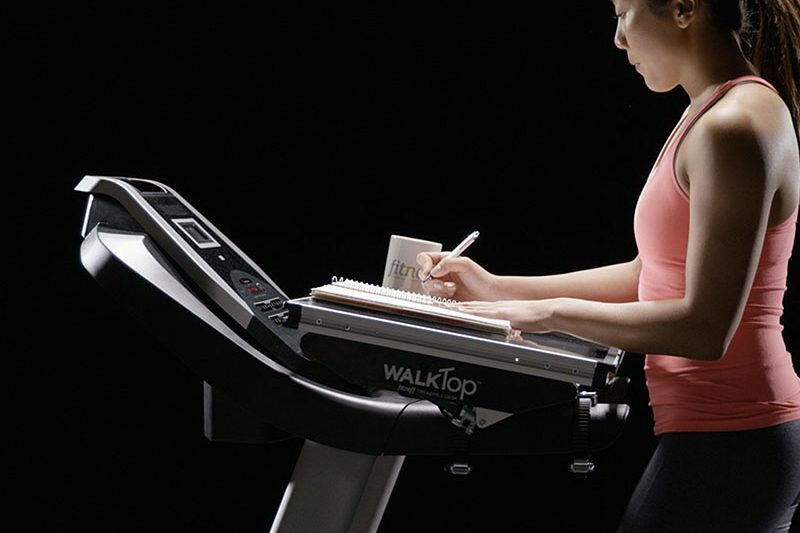 Consisting of a removable surface that allows most treadmills to be used as a walking desk, it is for anyone who would like to move instead of sit, allowing users to be active and productive simultaneously. It is light enough to be lifted by one person and folds flat for storage or transport. To provide better ergonomics, it adjusts easily to the most comfortable height and incline position for each user. Reading, typing and writing are properly facilitated with different surface angles available. Designed with a patent pending accessory rail the producers of Walktop plan to launch some cool accessories in the future to allow users to customize their WalkTop™ experience.